The Wife’s Secret by Kerry Wilkinson is a psychological thriller that is told from two timelines and different points of view. But not to worry, coming from an excellent writer the story was very easy to follow as it switches back and forth building the past and present. Charley Willis and Seth Chambers have just gotten married and should be happily celebrating their wonderful day. However, the couple gets separated at their reception and when Seth goes to look for Charley she is no where to be found. With no one knowing where Charley has gone eventually the police get involved. Charley is not a stranger to the spotlight and police investigations. When Charley was only thirteen her parents were murdered in the family home while Charley herself was in the house. Charley had been found hiding in a cupboard upstairs in the home and the only witness to just what happened but the killer was never found. 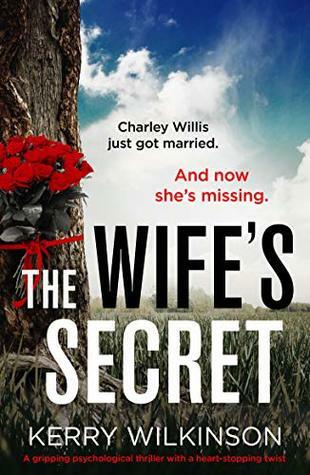 While The Wife’s Secret was another very solid read from Kerry Wilkinson this one was not my favorite overall leaving me to rate it at 3.5 stars. I felt the story was a little slow going in places although as I said it is easy to follow as it goes back and forth between the past and present. But again perhaps due to reading too many thrillers I had part of this one figured out really early on so I wasn’t quite as shocked as I could have been. Still a nice read though and will definitely be back for more from this author. Kerry Wilkinson has had No.1 crime bestsellers in the UK, Canada, South Africa and Singapore, as well as top-five books in Australia. He has also written two top-20 thrillers in the United States. 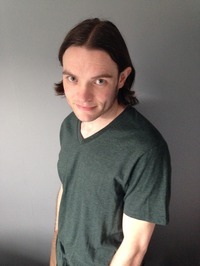 His book, Ten Birthdays, won the RNA award for Young Adult Novel of the Year in 2018. Nice review Carrie. Sometimes an author takes a different take, this time with a bit slower story, and it doesn’t live up to their other works. Still glad you enjoyed it overall.